Welcome to this week’s edition of #FirstLineFridays! This week, in honor of fathers everywhere, our theme is fathers, grandfathers, uncles, and/or mentors. Happy Father’s Day to dads of all kinds! My name was Salmon, like the fish; first name Susie. 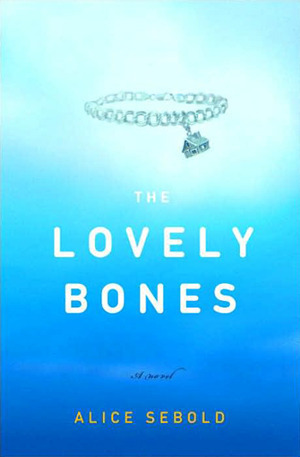 The Lovely Bones is one of the best books that has ever been written, in my humble opinion. I teach this novel to my Honors 9 English students, and it is typically a favorite and most memorable of the books they read all year. I will let you know upfront that this book deals with a terrible, horrendous murder of a teenage girl in the 1970s, but that is NOT the focus of the story. This book is about a family dealing with grief. It is about a father — an amazing father — so grieved by the loss of his child that he becomes like Captain Ahab searching for his white whale. It is about siblings who have to deal with and grow up after a beloved sister has been taken from them. It is about a mother in great mourning. It is about how families can become stronger after grief. Interesting side note, The Lovely Bones was written when Sebold was a young woman in college. Something excruciatingly awful happened to her after a class one night when she was walking back to her dorm room. This book was her way of dealing and healing after her traumatic experience. I know that this is not the typical book I showcase on Fridays, but it definitely adheres to this week’s theme — fathers. Jack Salmon is one of the most loyal and loving fathers I’ve seen in literature. He is like an Atticus Finch. Of all the characters in this book, Jack is my favorite. He embodies what a father should be — a provider who loves, cares, laughs, and tries so hard to protect. After he loses his child, he does become manic. I can’t imagine losing my child and I’m pretty sure I would be a wreck just like Jack. But, Jack does pull it together for his family in the end, and I think that is what matters most. When he needs to be the strongest for his family, he becomes the man they need. Excellent quote. Thank you for sharing, Vickie! I hope you are having an excellent weekend. I read THE LOVELY BONES long ago. I think I need to read it again and look more for the father. It’s a great book. When I teach it to my 9th graders we focus on the roles each person in the family play. Kids get a lot out of it…hopefully, all good things. I can’t wait to read that one. Thanks for sharing. Hope your weekend is going well. 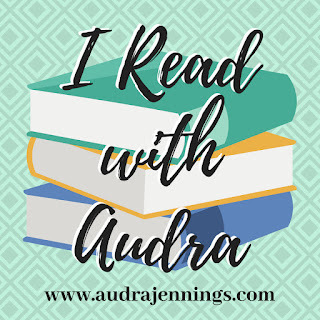 Head in the Clouds by Karen Witemeyer, I am really enjoying this book, my first of hers–Have to admit that I chose it because it was the only large print available at our library by her, and it turns out to have been a great choice! Can’t wait to see how the sheepmen and cowmen can be friends…we have both and seem to get along! Aw! Thanks for sharing. I love Karen Witemeyer novels. They are so good! Thanks Trisha! I hope you are having a wonderful weekend, too. I’ve been wanting to read this for awhile now and after reading your thoughts on it, I want to read it even more. It looks like a great read! I love Little House on the Prairie. It’s so good. I still have my set from when I was 9. I plan to give them to my daughter when she is old enough to read them. That’s awesome! I need to buy a set for my shelf and then to share it with my daughter if I ever get married and have kids. LOL. Thank you for sharing, Caryl! Hope you are having a great weekend. Wasn’t The Lovely Bones made into a movie? Yes, it was made into a movie. The book is 1000% times better. The movie is ok, but it doesn’t focus on things like the book does. Hope your having a great weekend. Tell your husband I hope he has an excellent Father’s Day! Ooooh! I like that first line. I will definitely have to check the book out. Thanks for sharing. I hope you are having a great weekend. The Lonely Bones sounds fascinating! The book I’m sharing this week on my blog is “Before the Apocalypse” by Taylor Jaxon. This is a Young Adult Christian Suspense that keeps you on the edge of your seat until the end. Here, I will share the first line in Chapter Fourteen of that same book: “Sam extended his hand through the doorway of the ivy-covered mansion. An appendage the size of a catcher’s mitt engulfed his palm.” Wishing you a wonderful weekend! That sounds excellent. Will have to check that out. Thanks for sharing! I hope you are having a great weekend…lots of reading time. Thanks for sharing your link! Will check out your FLF post. Hope you are having a great weekend. I read that book several years ago. It was one super emotional book! Thanks for sharing, Becca. I haven’t yet read any Dani Pettrey books. I mean to at some point though. I hear she is really good! Hope you’re enjoying your book and your weekend. Ooooh! New kayaks…how fun! I hope you guys had a great time. I don’t have the physical dexterity to kayak myself, but I wish I had. It looks like fun. Husband are good for reaching the high stuff! Lol! Sounds really good! Thanks for sharing. Hope your weekend is going well. That’s a great first line. Thank you for sharing. I hope you are having a great weekend.